This deleted scene from the 2004 film adaptation catches my attention. Why? When I see film adaptations of a beloved book or Broadway musical, I am always hesitant to watch because of the changes filmmakers make. Plus, scenes, and sometimes characters, are cut. The Phantom of the Opera, though, is a slight exception for me. Out of all the musicals, this one is my absolute favorite. The 2004 film version starring Gerard Butler, Emmy Rossum, and Patrick Wilson has been seen many times over the years. I am always close to crying near the end even though I know what happens each time. Since then, I've experienced the tragic story further through seeing a performance at The Bushnell Center of the Performing Arts in Hartford, CT, for my sixteenth birthday, finding the original novel by Gaston Leroux at Raven Used Books in Northampton, MA, and watching the classic 1925 silent film starring Lon Chaney. 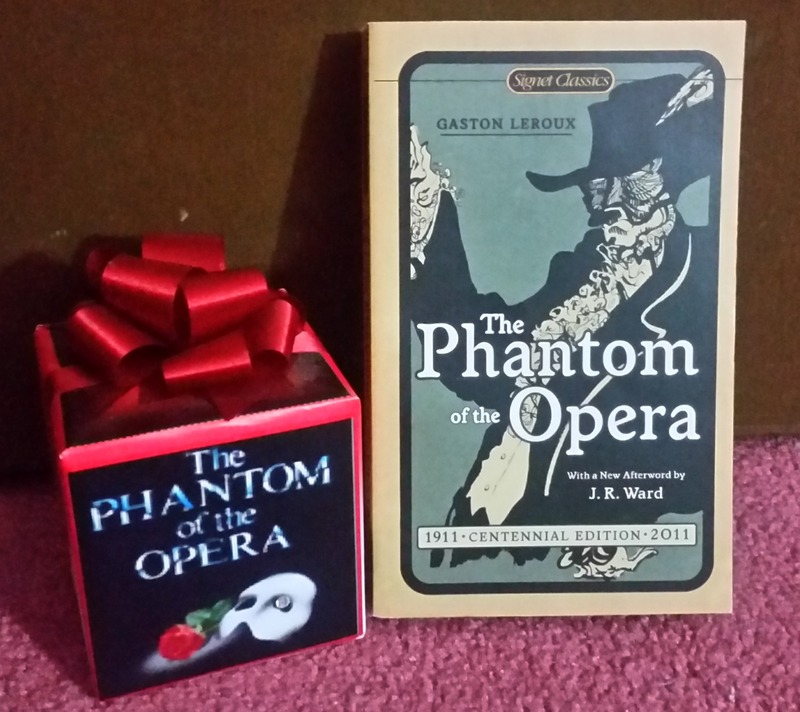 My Phantom obsession also led me to a music box that played "The Music of the Night" from a company called J. & J. Music Boxes in 2016. Yet, I always return to the film adaptation. On screen, I saw a musical genius physically scarred and rejected by society who struggled to find love and have his gifts appreciated by the world. He had, though, very frightening flaws. I pitied the Phantom, knowing how life's difficult trials and rejections could change your views of people and life. I always saw a complex individual burdened with so much trauma and pain. So why do I bring up deleted scenes for a film adaptation of a beloved musical that recently celebrated 30 years on Broadway? Well, because the scene, or omitted song rather, gave me pause. The song is "No One Would Listen" where the Phantom sings about how no one acknowledged him or showed him any kindness...until Christine Daaé did. I came upon the scene by accident on YouTube while watching random clips from the movie. In that moment, I saw a man who deserved compassion. The Phantom showed a side anyone rarely saw: a human one. One where emotions didn't fly or illusions and deceit were performed. Here, he is vulnerable, calm, desiring a brighter future, and contemplating his dreams. He also reflected on how Christine listened to him when the world did not. I now wonder to this very day if this deleted scene was included in the film, if would we view the mysterious Phantom of the Opera differently. I am not a film expert, so I cannot elaborate more on the decisions behind deleted scenes and why some scenes are never shown. But, I feel scenes in movies make the audience consider if someone is completely good or bad based on their actions or emotions. At the end of the day, it's up to the viewer to decide for themselves, but I think certain scenes can influence people greatly more than others. Before the deleted scene was discovered, I always sympathized with the Phantom. Now, that has since evolved into compassion and sadness. Never judge a character solely on their actions or appearance in one or many scenes, especially in movies. There may be deleted scenes that may sway your thinking and make you consider a different point of view.